Headlines:Bank lure and bait fishing has continued to be exceptional for anglers this week with both lakes producing some good numbers and great quality fish. Lake Eucumbene:- Fly reports have been spasmodic. Where are all you super keen fly fishers? There have been plenty of good fish caught off the bank using other methods so the fly will catch them just as easily. Fish quality has been excellent in the rainbows but some of the browns that have returned from spawning are a little poor. 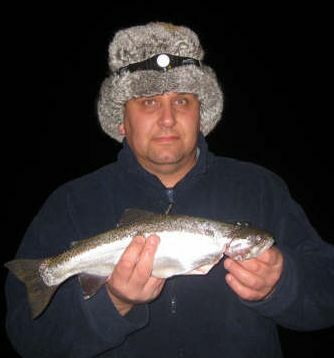 *Local lure maker Mario has been cleaning up off the bank in some very windy conditions with his Snowy Minnow. 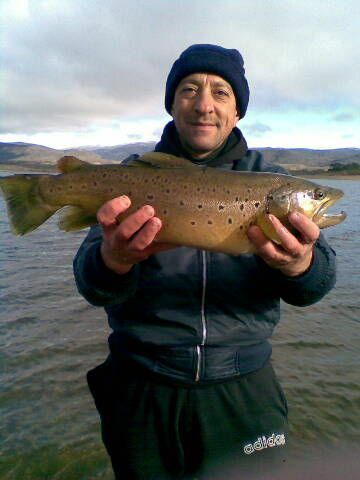 Some excellent rainbows and big browns have all come undone on his fantastic little lure this week. Searching the areas with a little discolouration has proved productive. 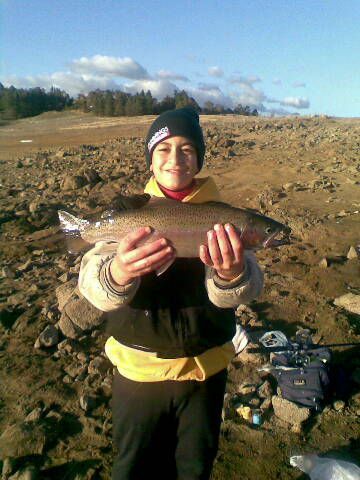 Jindabyne:- Jindabyne has produced few reports this week. There are still some good fish to be caught in Jinde but early starts are the key to catching them especially when the weather is super calm. 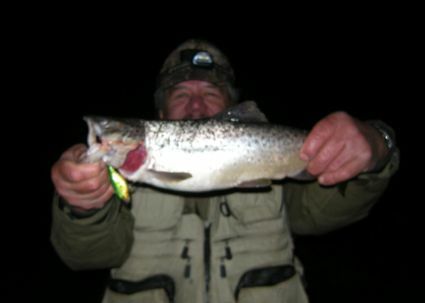 Try pink tassies and yellow wing patterns flat line and on leadcore. Rapalas and RMGs around the edges early can also be deadly. Reports suggest that fish have been chasing the goldfish regulalry so using small minnows is a good way to imitate these baitfish. 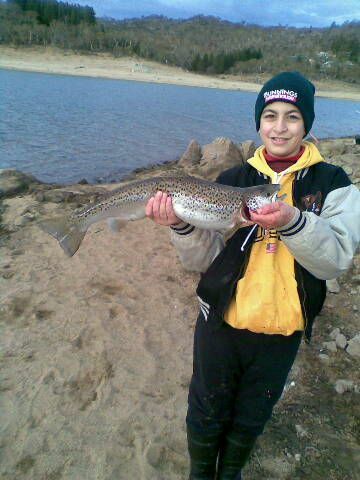 *Super keen Sydney angler Ahmad had a great week at Jindabyne. Fishing off the bank in only early mornings and evenings he and his son accounted for some great fish. 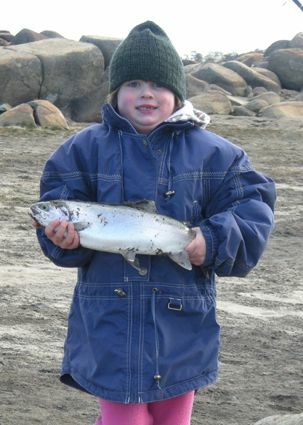 Ten browns, twenty rainbows and a good Atlantic salmon were caught. Spinning with Stiffy devilfish was very effective. Dropping the lure into deeper water, letting it sink then a steady retrieve worked best. 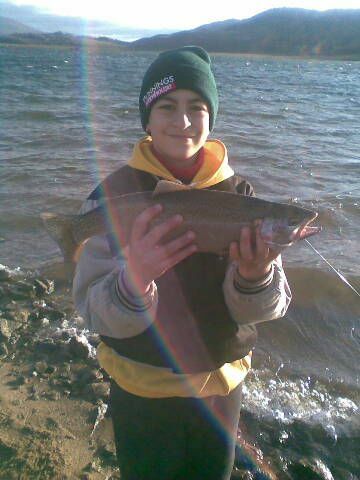 Ahmad's eleven year old son Aouni had a great time and caught a beautiful 3.1kg salmon on his first ever cast with a tassie devil. 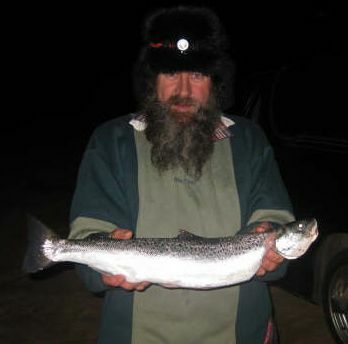 He also caught some of the other quality fish pictured below too. They also caught a good number baitfishing with Rainbow Candy and Chunky Cheese Gulp. 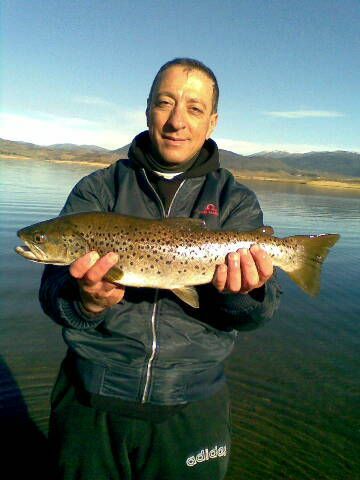 East Jindabyne was the area fished. *Johnny Srcubworm had a challenging session in some strong W/NW winds at Buckenderra on the weekend. 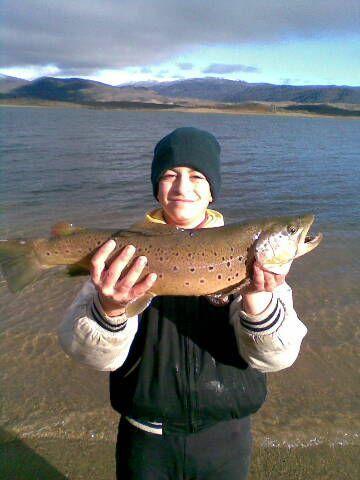 He landed two nice browns of 49 and 50 cm. One fish was on a scrubby and the other on a fly under a bubble. Despite only catching two fish John said it was a very productive session with one of the browns coming in with a Jackall TN 60 lure (worth about $25) attached to its gill cover. It is his new favourite lure. 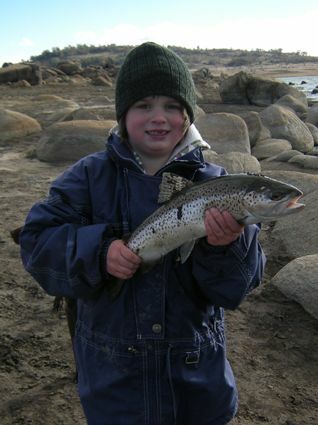 *Taylah Maurier went fishing with Dad on Saturday afternoon at Buckenderra and landed three nice fish with two weighing in at 1.4 and 1.3 kg. The fish were caught on Powerbait. 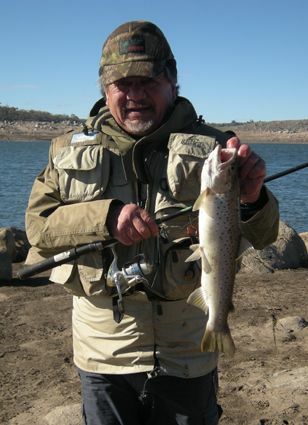 Jindabyne has been much better with some good numbers and quality coming in. 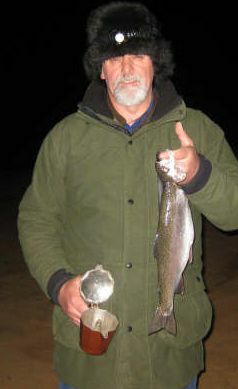 Fished Kalkite banks from Friday 17th till Sat Morning for 13 good fish including 11 rainbows,1 brook trout and 1 salmon. All fish were taken on powerbait (Chunky Cheese and White were the pick). 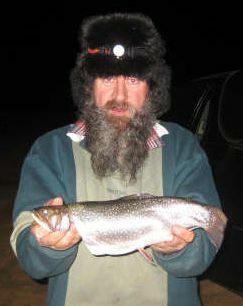 Blinky scored the majority with the salmon ranging about 4 pounds and also the brookie going around 1.5 pounds. All others were around the 1.5 to 2 pounds. The night was bloody freezing with temps I estimate around -6 degrees. But the Russian hats kept us warm.